This gorgeous creature is the latest pram to hit the market from Australia’s Redsbaby – and take our word for it, it’s take-your-breath-away stunning. 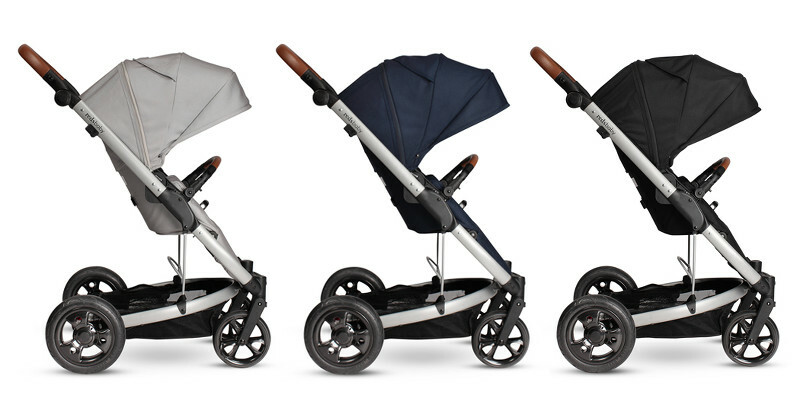 It’s one of those prams that turns heads, and puts a spring in your step as you stroll proudly with your precious bub. From its heavenly leatherette detailing to some really clever design features, the Redsbaby Jive is a pram you’ll be proud to push. 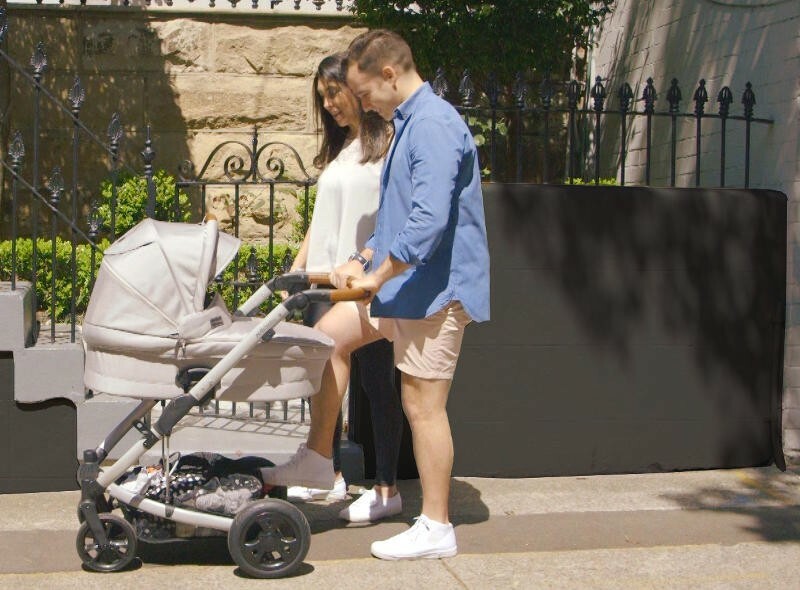 In just two short years, Redsbaby has managed to cement itself as a favourite with parents looking for an Aussie owned and operated business, creating contemporary prams and strollers for Australian families. From the original Redsbaby Bounce, to the newly launched Redsbaby Move, this company continues to manufacture prams that are the perfect balance of style and substance. And now Redsbaby is releasing another incredible pram – the Redsbaby Jive. The sophistication of this little-people mover can’t be overestimated. The beauty of the Jive is in its restraint. 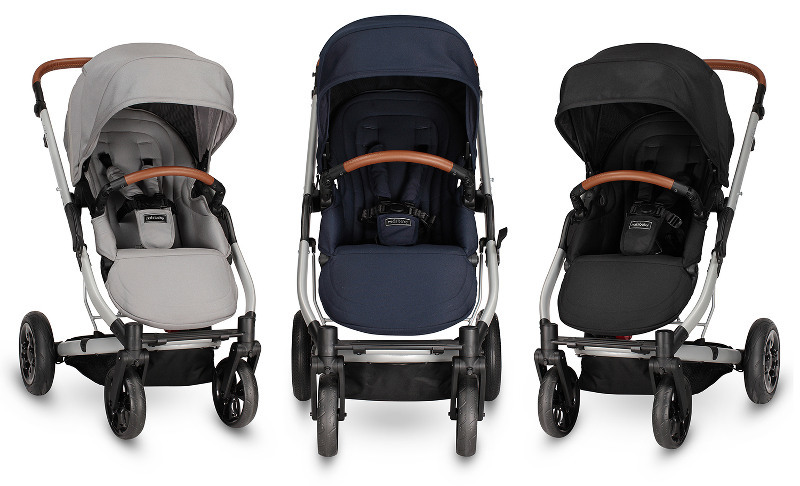 Clean lines, precision detailing and supreme function all combine to create the ultimate pram. The hand-crafted leatherette details are sublime – look at that stunning tan handle and bumper bar! Every detail has been refined – from the leatherette zipper pull-tabs to the quality fabric and colours that complement current styling. Not only is the Jive lovely to look at, it also boasts the cutting-edge features which set all of Redsbaby’s prams and strollers apart. This includes their easy fold mechanism, which works with or without the seat attached, and a large, easy to access storage basket. The Jive is lightweight and user-friendly, and also offers its young passengers an ergonomic design for the ultimate in comfortable travel. The seat is reversible, reclines and has an adjustable footrest, while the bassinet is freestanding, so it can be placed on the ground. The Jive also incorporates Redsbaby’s new Maxiair™ canopy and Stayput™ harness padding. It can be used for children up to 20 kilograms, and is suitable for newborns. Priced at $799, the Redsbaby Jive package has everything a new parent needs, including bassinet, seat and chassis. You can shop the entire range, including accessories, at Redsbaby.